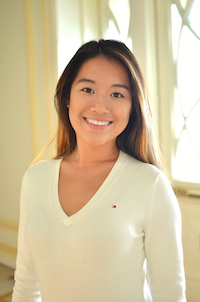 My name is Justine Wang, and I am a rising sophomore from Andover, Massachusetts! At Notre Dame, I am involved in The Observer, Student International Business Council, and Freshman Class Council. I am passionate about social justice, politics, feminism, ballet, and photography. I have traveled abroad and have had exposure to both international business and NGO work. As an international economics major, I hope to begin research in the field during my time at Notre Dame. I look forward to my language immersion in France! Attending the Institut de Touraine to continue my French studies will mark my first time traveling abroad alone! As a potential International Economics major with a concentration in French, I believe I will benefit greatly from intensive language study and the exposure to French culture. I hope to gain cultural competency and create an outlet for myself to understand international perspectives of economics in the future. I will gain a new perspective on my cultural values, and gain self-reliance from learning to live in an unfamiliar lingual and cultural setting. My future career goals are in international development work or academia, so the SLA Grant is providing me with the opportunity to explore my ability to gain a better knowledge of French and the Francophone world. I am always intrigued by meeting new people from different places and cultures around the world, and it makes it more special that we would all be communicating in French, due to different home languages. The ability to speak French would greatly contribute to my aspirations of working in international development or international business, where working with a diverse styles of leadership would be the standard. France is one of the leading economies in the world, and many non-European nations also list French as a national language. Ever since middle school, I have also been very involved in non-profit work in some African and South Asian developing countries, and with a knowledge of French, I would be able to expand the organization’s foci to other parts of Africa, as well as the Caribbean. Upon returning to Notre Dame, I would hope to pursue higher level French courses related to business and French literature, or perhaps be inspired to pursue other Romance languages during the rest of my undergraduate career. Having the skill set of communicating, reading, and writing in French would allow me to pursue other opportunities, such as research in French-speaking countries, which would allow me to contribute to the international and research communities at Notre Dame. By the end of the summer, I will be able to communicate in French with native speakers on topics that reflect deeper academic thought, such as political or social justice related topics. By the end of the summer, I will be able to quickly adjust to different culture-related situations and be willing to reach beyond my comfort zone when in unfamiliar situations in foreign countries. By the end of the summer, I will be able to read, write, and speak French, at a level-3000 course at Notre Dame. By the end of the summer, I will have mastered the French grammar and vocabulary that I have learned over the past school year. By the end of the summer, I will feel confident in being able to speak French and read academic pieces, or conduct research in French. I intend on maximizing my experience by keeping an open mind and trying new things, while I am in France. I hope to live with a host family, in order to maximize my opportunities to speak French. The particular language program that I have chosen is the Institut de Touraine, located in Tours, France. The location and excellent reviews of the program factored greatly into my selection process: I wanted to be free from the distractions of a larger city, where there are many other attractions that could distract from the focus of a language program, due to the sheer pace and diversity of a metropolis. On the weekends, I would love to explore the Loire Valley and surrounding areas. I find beauty in sightseeing, and architecture fascinates me. During a summer study abroad, I would love to take full advantage of all the inspiration France has to offer in its cultural aspects: especially architecture, art, music, and theater. Hopefully, I will meet many students from around the world, and will be united with them through the common study of French.